I clipped this recipe from an Everyday Food back in 2006, and I’m still making it. It is definitely my favorite thing to do with radishes, besides topping fish tacos with them. 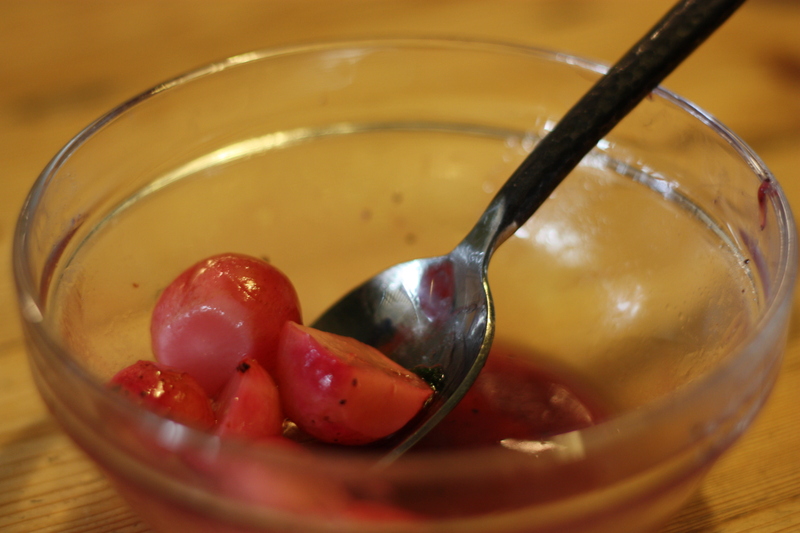 The result is something sweet and salty, and the radishes almost take on a pearl-onion flavor, but I like these better. You can tell from the photo how many we had left by the time I remembered to take a photo!